Vermillion excels in the manufacture of complex EPDM, Viton®, Polyurethane and Neoprene overmolded cables. Our products are engineered to withstand severe environmental conditions including extreme heat and cold, fuel and water immersion, salt spray, chemical and abrasion resistance, and electromagnetic and radio frequency interference. Overmolded cables are a cost effective option that increases safety, durability and reliability of an assembly while often times reducing overall costs. Configuration options are endless and range from simple point to point assemblies to complex multi-branched and bulkhead assemblies with 2D or 3D transition areas. We also incorporate our overmolding capabilities into electro-mechanical assemblies to meet mission critical performance requirements. As a value added service, our expert engineering staff evaluates every project for environmental, mechanical and EMI performance specifications to ensure best practice manufacturing materials and processes are incorporated into each cable assembly. Vermillion overmolded cables . . .superior performance for demanding applications! rubber is useful in a variety of applications. Molded Viton® supports harsh environment applications such as fuel cell immersion, extreme temperature conditions, and airborne hydraulic fluids. 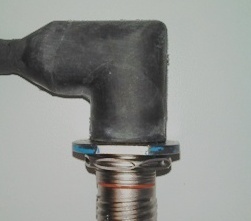 Viton® maintains its properties and defies an array of corrosive fluids at high temperatures. It is resistant to harsh weather conditions, oxygen and flame. EPDM is ideal for outdoor applications due to its ability to resist harsh weather conditions. It is recommended for itsability to stabilize color and resist heat. EPDM is an economical choice because it offers the advantages of Neoprene, at a lower cost. EPDM compounds, in general, have excellent chemical resistance to water, ozone, radiation, weather, glycol, salt solutions, oxygenated solvents, and synthetic hydraulic fluids. Thermoplastic Polyurethane materials are increasingly used in many different applications. 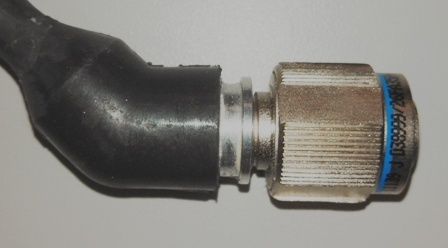 Polyurethane overmolding is the most commonly used technique for sealing a cable to a connector. Several factors contribute to its popularity including low-cost raw material, ease of workability, simplified tooling and set up. TPUs have good low-temperature properties and resistance to fungi, good tear and abrasion resistant properties. Polyurethane molds can create any shape or transition your project demands.